Hyundai announced Tuesday it would recommend a “Recognized Collision Repair Center” network to customers, the latest automaker to indicate which body shops it feels are truly qualified to fix its vehicles correctly. “This program ensures both independent and Hyundai dealership-owned collision repair centers have the training, tools, equipment, and facilities needed to properly repair Hyundai vehicles after they have been involved in a collision,” Hyundai said in a news release. Like Ford, Hyundai’s program will be overseen by Assured Performance. The organization will check a collision repairer to make sure the business and its staff have the training and equipment to merit recognition and audit the body shop annually afterwards. Customers can check for a Hyundai-certified plaque in the collision repairer’s lobby or obtain referrals to dealerships and independents from Hyundai itself. 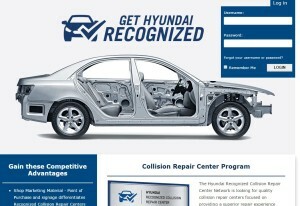 Repairers with questions or seeking recognition can visit www.GetHyundaiRecognized.com or call 949-221-0010. We’re going to look further into the program, so continue to check Repairer Driven News for updates.